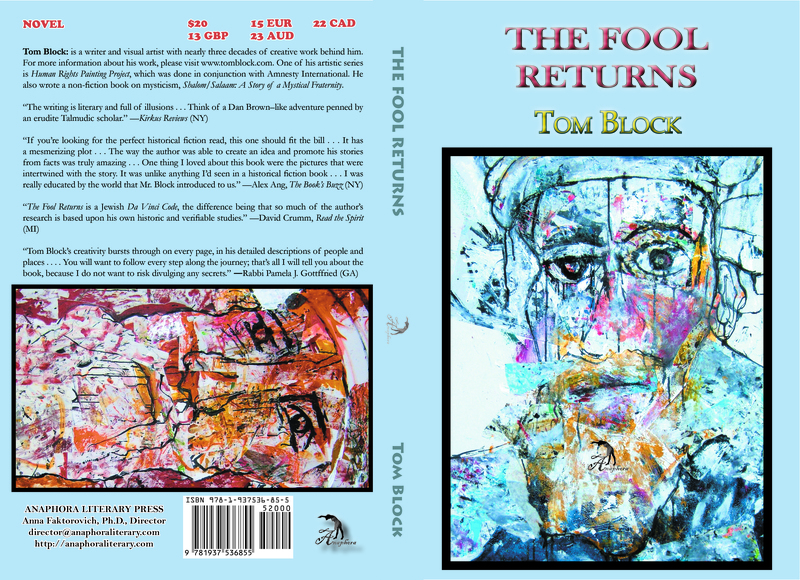 The Fool Returns: ($20, 6X9″, ISBN: 978-1-937536-85-5, Hardcover ISBN: 978-1-68114-127-5, LCCN: 2014950625, 250pp, December 15, 2014; Buy on Amazon or Barnes and Noble): Based on Tom Block’s non-fiction study of the cross pollination between Jewish and Islamic mysticism (published as Shalom/Salaam: A Story of a Mystical Fraternity, Fons Vitae, 2010), The Fool Returns is a page turning, spiritual thriller based on fact. The Fool Returns centers on the idea that medieval Jewish thinkers discovered the underlying impetus for current political issues between Jews and Muslims in the Biblical story of Isaac and Ishmael (Genesis 21). They set a 500-year quest in motion, which was coming to fruition in 1992, when a NY bartender (Bill) had a card made from human bone thrown into his lap in the middle of the night, on the subway. If he succeeds in his quest, a positive energy will be released and Abraham’s original weakness before God reversed. A new age between these Children of Abraham would flower. Tom Block (www.tomblock.com) has published four non-fiction books, has had plays produced in both New York and Washington DC and has been a visual artist for 20 years, with more than 200 exhibitions in museums, universities and galleries around the world. This is his first novel.